I can’t be the only one who finishes listening to a Read Aloud Revival episode and then promptly fills my Amazon cart with new books, so what I want to know is this: of the books you’ve purchased after listening to an episode of RAR, which are your favorites? There are so many titles that crop up in each episode that it’s hard to decide which ones to buy! So, which books have you bought (or borrowed) and loved? As I was reading through the gazillion responses and the happy “this one!” and “that one!” answers to Thea’s question, I thought- oh my gosh. This is like a BEST OF READ-ALOUD REVIVAL BOOK PICKS FOR 2015. Then I asked fans of the Read-Aloud Revival Facebook page (you’re following that page, I hope?) to tell me their very favorite episodes of the podcast. Some of these are for your kids- others are for you! These books were the choices our community says they are most glad they found out about and purchased in 2015. You can’t go wrong with a one of them. These are the top 5 best-loved podcast episodes. If you haven’t listened yet, grab your earbuds, some wrapping paper and tape, and hit play! I’ll keep you company while you wrap. Start with these and you’ll know you’re getting in on the best the podcast has to offer. 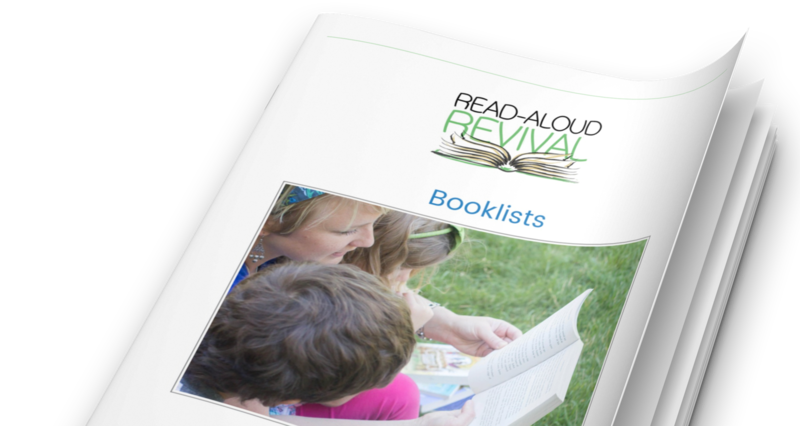 Here’s to another great year of podcast episodes, book recommendations, and rousing conversations and inspiring live events in the Read-Aloud Revival Membership. I can hardly wait.